A Night on the Bayou: A, Spirited Dinner at Grand Isle Restaurant featuring live entertainment, award-winning cuisine, neat tastings, and cocktail pairings. 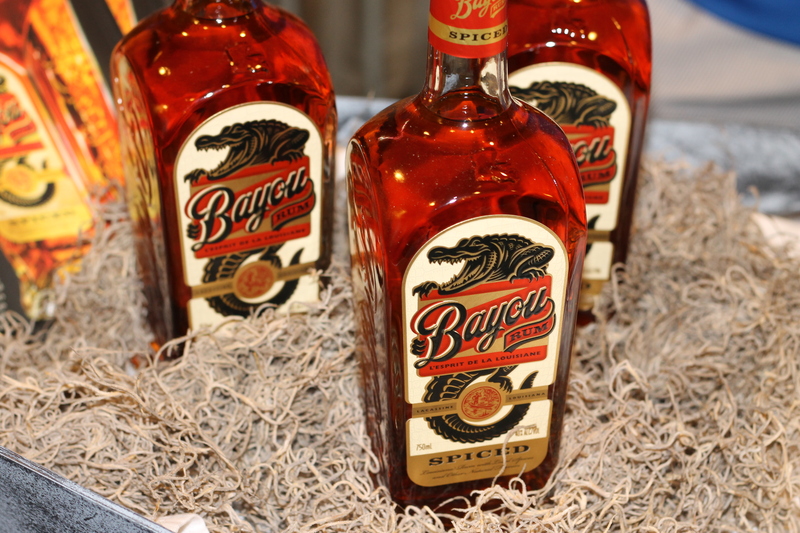 Meet the Craft Distillers: Guests were privileged to meet and greet with the master distiller and blender for Bayou Rum. Gator-Tailing with Bayou Rum: Attendees were invited to sip refreshing rum cocktails street side while admiring an amazingly restored, Bayou Rum branded, 1957 GMC wagon. We were lucky enough to enter “The Bayou” to taste their two spirit offerings, a Silver and Spiced rum, in a variety of cocktails and served straight. From Daiquiris to Mai Tai’s, and custom cocktails, Bayou Rum showed amazing versatility in the drinks that were created. I’m not a huge spiced rum fan, and even I enjoyed drinking it straight. We’ll offer a full Bayou Rum review sometime early next moth, but hopefully for now you can take our word for it. Can’t wait for us? It’s ok, we understand. If you see it on the shelf, grab a bottle and try one of the recipes below for yourself. Build in a glass over ice and float raspberry schnapps. Shake and strain over ice. garnish with a lime wedge.